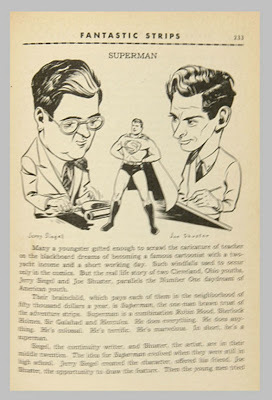 Some reviews of Boys of Steel: The Creators of Superman called writer Jerry Siegel and artist Joe Shuster heroes. 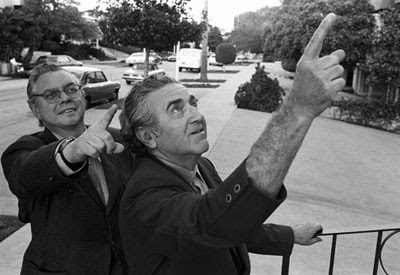 These guys created arguably the most iconic superhero of the 20th century. But does that make them heroic? I feel the word “hero” is overused. This dilutes its potency. The more people we call heroes, the less impact the word has. It is a natural transference to refer to superhero creators as heroes themselves, but that is a disservice both to more traditionally defined heroes (firefighters, police officers, rescue workers, everyday people who surprise even themselves by risking their own lives to try to save another) and to the creators themselves. Another word tossed around too liberally is “genius.” Were Jerry and Joe creative geniuses? I consider “genius” a classification that can be measured, and I don’t believe you can measure artistic ability. It’s subjective. So if you ask me, not only were Jerry and Joe not heroes, but also not geniuses. So what were they? They were creative for sure. Innovative. Risk-taking. Persistent. And it is in this last regard that they came closest to being, yes, heroic. Their cultural contribution was undeniably seismic, but it was their blind determination to see their idea through despite three and a half years of rejection that shows just how strong they were. (The book is called Boys of Steel for a reason.) They endured nos ranging from the unembellished to the borderline cruel. Yet none of that stopped them, because they were convinced they had a good idea. Then after they sold all rights to Superman for $130, they went through 35 years of hardship trying to get them back. They genuinely believed it was their right to do so. They were the underdogs. They were demoralized, ignored, insulted—yet they were not deterred from their goal. To me, that is heroic. Your ideas may be peerless but it’s your actions that determine your hero status. 6/16/13 addendum: I forgot that I touched on this point earlier. Good point. And informative as always. Much appreciated.